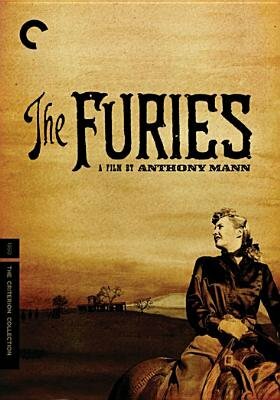 Director Anthony Mann's dark, psychological western tells the story of a ranch owner T.C. Jeffords (Walter Huston) at odds with his upstart daughter Vanca (Barbara Stanwyck) over matters of marriage and ultimately land. The mythic grandeur of the Wild West is superimposed with the the soul-churning struggles of Greek tragedy in this unusually intense frontier film. THE FURIES' stark black-and-white cinematography was nominated for an Academy Award.